To be legal, a will must be signed and witnessed. If the will appoints an executor, that individual is responsible for carrying out the will's instructions. That means paying any valid claims against the estate and transferring assets to the heirs named in the document. If the will does not name an executor, then the probate court or a registrar of wills must appoint an administrator to carry out the task. Both executors and administrators are informally known as "personal representatives." Their role is different from that of an attorney, who represents the interests of the estate in probate court and in any litigation that may arise. State law sets out guidelines for the fees an executor or attorney may collect from an estate. In some states, including New York, there is a sliding-scale limit on executor fees, figured as a percentage of estate assets: 5 percent of sums received and paid out, up to $100,000; 4 percent for the next $100,000; 3 percent for the next $500,000; 2.5 percent on the next $4 million; and 2 percent for any sums over $5 million. Kentucky sets a flat rate of 5 percent of value and 5 percent of income generated by the estate. 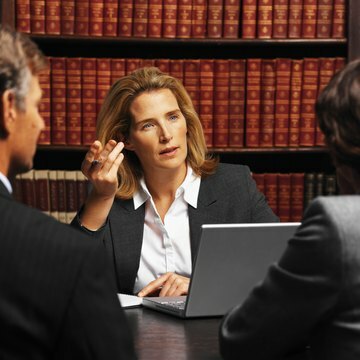 Attorneys will charge for probate and estate work with an hourly fee, a flat rate or a percentage of assets, depending on what state law permits and how the executor negotiates the matter. .
Not all states adhere to a strict percentage rate for executors; Connecticut law, for example, only requires that compensation be "reasonable," leaving it up to the probate court to make that determination. If the will fixes the executor fee, then other parties such as heirs may challenge that fee on grounds that it is unreasonable. In many cases, the fee is subject to an agreement between the executor and the heirs. The same "reasonable" standard applies to attorney fees, which are subject to a written fee agreement with the estate (which pays the fee) and the executor. . The executor may be an individual (and heir) named in the will. If that is the case, any compensation paid by the estate as an executor's fee is subject to personal income tax, both state and federal. If the estate is large enough to be subject to federal estate tax, as well as state inheritance tax, then declining the fee may be to the executor's financial advantage -- even if the executor's fee is a deductible expense. Unless they are named as heirs, attorneys don't have a choice in the matter; any fees they collect are declared as business income and subject to income tax.